Viknesh Vijayenthiran March 2, 2016 Comment Now! 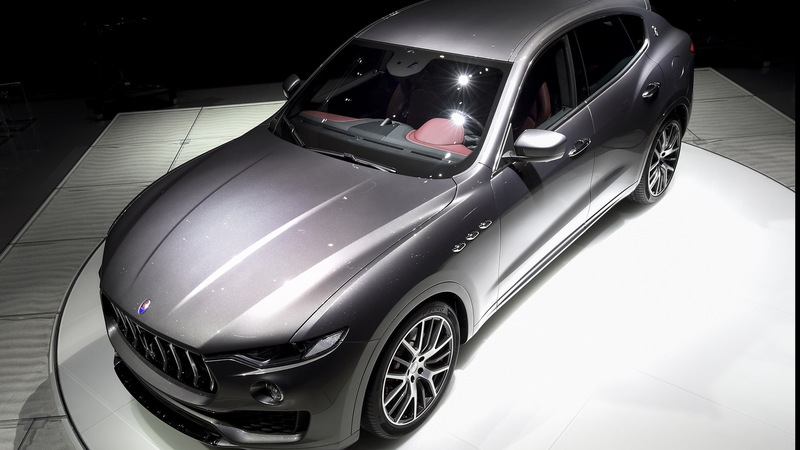 It’s been years in the making but finally Maserati’s first SUV, the Levante, has made its public debut, appearing today at the Geneva Motor Show. 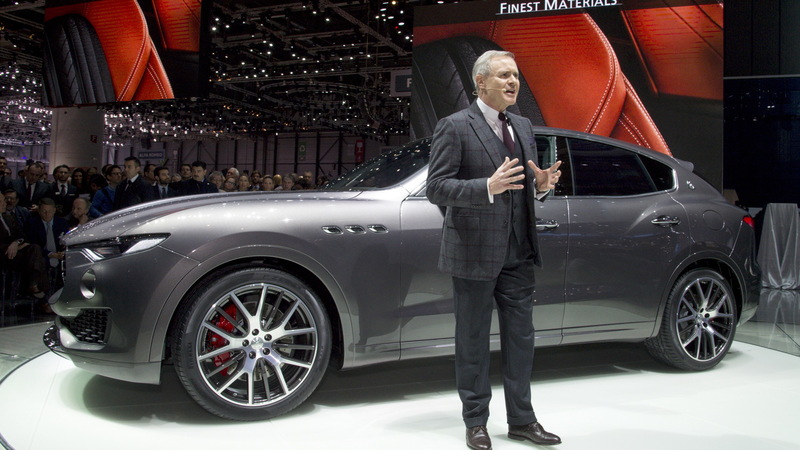 Maserati first hinted at a high-riding model as far back as 2003, when it rolled out the original Kubang concept. A second Kubang concept was rolled out in 2011, indicating that Maserati was serious about entering the SUV segment. Now the production model is here, and we’re glad to report that its design is much more striking than what we saw on the earlier concepts. The Levante is a mid-size SUV that will compete with the Porsche Cayenne and high-end versions of the BMW X5 and Mercedes-Benz GLE. 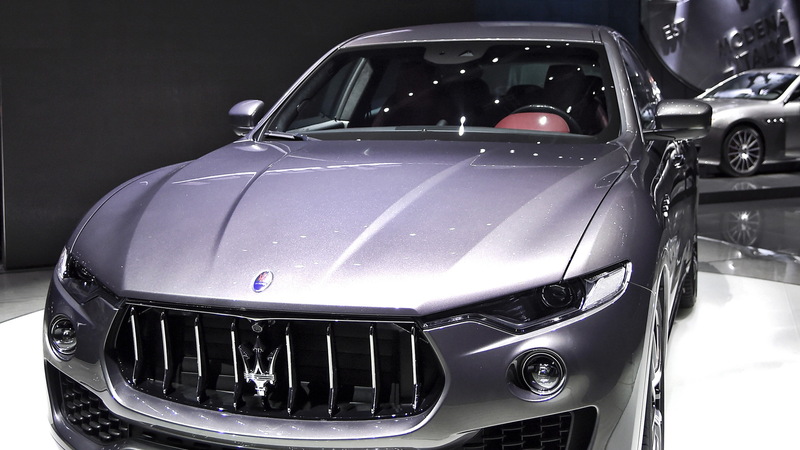 It’s based on Maserati’s own platform rather than an existing design from fellow Fiat Chrysler Automobile [NYSE:FCAU] brand Jeep, as originally planned. The platform is the same one found in Maserati’s Ghibli and Quattroporte sedans. Also borrowed from the sedans are the feisty V-6 engines sourced from Ferrari [NYSE:RACE]. Three powertrain options have been announced. 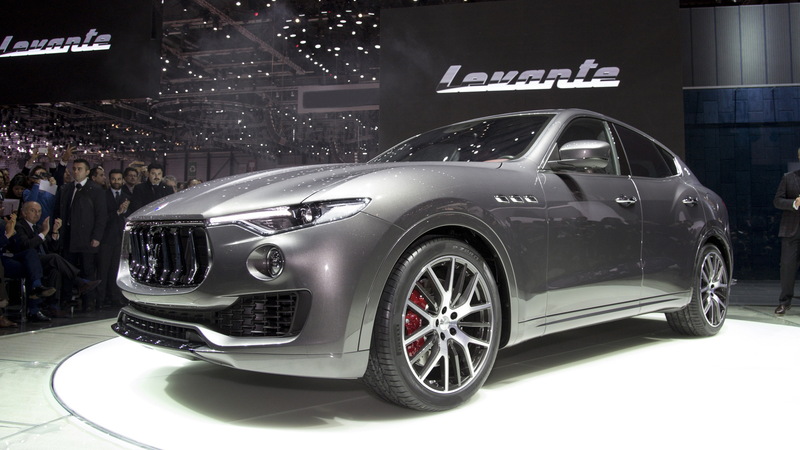 The base Levante gets a turbocharged 3.0-liter V-6 that delivers 344 horsepower and 368 pound-feet of torque. Above this is a Levante S with the same engine as the base but an output of 424 hp and 427 lb-ft. A turbocharged 3.0-liter V-6 diesel engine is also on offer in a Levante Diesel. This model delivers 271 hp and 442 lb-ft. It’s likely only the base Levante and Levante S will be offered in the United States. Sadly, there’s been no mention of a V-8-equipped Levante. Across the Levante range, an 8-speed automatic transmissions sends the power to all four wheels through Maserati's Q4 all-wheel-drive system which can adjust torque levels between the axles. Levantes also benefit from sophisticated suspension: double-wishbone on the front axle and multi-link on the rear, combined with electronically controlled damping, four corner air-springs providing five dynamic ride levels (plus one additional park-position). Together, these features should help when heading off-road. On the other hand, with a low center of gravity, 50-50 weight distribution, high rigidity, and a mechanical self-locking rear differential as standard, the Levante should also offer sporty dynamics on paved surfaces. The quickest of the bunch is clearly the Levante S, which will hit 62 mph from rest in a brief 6.0 seconds and top out at 155 mph, and the others aren’t too far off the pace. The interior of the Levante is also impressive. It’s been created with the finest materials, including as an option premium leather and even Ermenegildo Zegna silk, made in Trivero by the Zegna wool mill with a patented process. There’s also modern tech features such as the Maserati Touch Control infotainment system as well as electronic driver aids including adaptive cruise control, forward collision warning, automatic brake assist system and lane departure warning. Further options include blind spot alert, surround view camera and a powerlift tailgate. 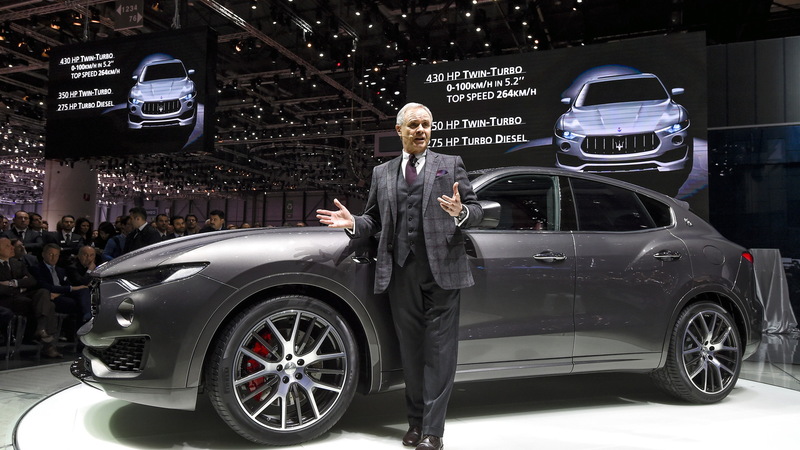 Production of the Levante will take place at a dedicated, completely refurbished and modernized area of FCA’s Mirafiori plant in Turin, Italy. Look for the arrival in the U.S. in the second half of the year.